Continue moving the spacer strips and routing until all the flutes are complete. Then cut the workpiece to finished width and length. 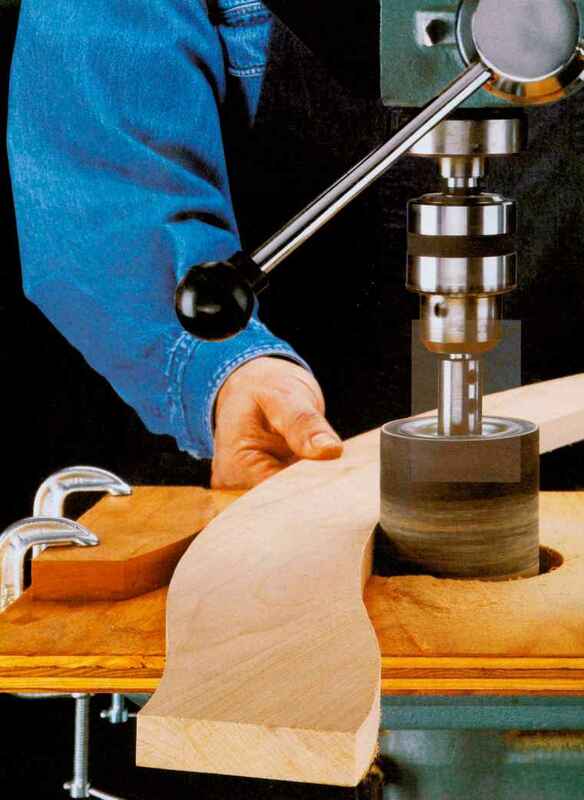 Position the outside strip so there will be a shoulder left along the edge of the workpiece. Then rout the first flute with a 3k" core box bit. Remove the jig and loosen the next spacer strip. Then move it to the opposite side of the workpiece, retighten, and rout the next flute.